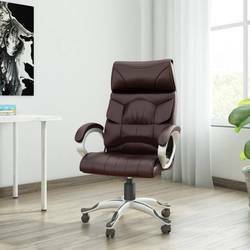 We have the cheapest and best Executive office chair for all office staff who works for a long period of time. It is very comfortable for them in the working environment. It helps to reduce their pain so that they can sit for a long period of time. These chairs are suitable for every body type. We make it easier for customers to buy. These chairs are also available in different sizes, many colors options, full back support up to shoulders, padded seat, and many more things. These chairs will make your office place look admirable.